I have been fortunate to meet and hear three strong Latin American women speak about their struggles; of course, they mean not their individual problems, but the struggles of women and everyone working for justice in their region. Behind every successful social and political transformation are hundreds of determined women, connected and committed to their work. And if there is anywhere in the world we can look for inspiration and example for our much needed social change, it is Latin America. On March 8, International Women’s Day, Esperanza Luzbert of Cuba was in Victoria to speak about the role of women in Haiti after the earthquake. Haitian women, angered because they wanted shelter for their families, not the military takeover of their neighbourhoods, marched on Feb, 7 to the UN headquarters (formerly Haiti’s only medical school during the Aristide government.) Although many foreigners were entering, 500 Haitian women were not allowed in with their signs, “Tents, not Guns”. The UN only deals with governments and worldwide it is frightened of popular movements and will not recognize them – even when as in the case of Haiti, they were the main structure of self-government. The women demonstrated again on March 8 and called for self-determination for Haiti as well and were driven back by police. Women are the backbone of the Haitian economy; 80% of the informal market is run by women, they are the leaders in most community organizations and when camps were set up for the homeless after the earthquake, women formed the organizing committees. Meanwhile as international agencies scrambled for a piece of the action, Cuban medical teams were already working in Haiti with 400 doctors, mainly women, and other medical personnel along with Haitian doctors who had been trained in Cuba. Very quickly field hospitals were set up and thousands of injured Haitians were treated in the first 72 hours after the quake. But Esperanza said that Cuban medical aid, accepted and appreciated by Haitians, was not a short term effort. She spoke about Cuban medical assistance in the treatment and prevention of infectious diseases and much needed help in sanitation. Cuba also has a special emergency medical brigade – ready to go on short notice that augmented the teams already present in Haiti. Cuba has developed special mosquito and rat control procedures (they offered them and emergency aid to the USA after New Orleans flooded, but were refused). Cuban medical teams will work on long term effects, particularly on traumatized children and Esperanza said Cuba was setting up programmes for rehabilitation for children and others emotionally damaged by the earthquake’s effect on family and community life. Cuba women are not only prominent in medical professions with 55% of doctors being women. Cuba has an infant mortality rate of 4.7 per 1000 live births. Women have total freedom of choice, abortion is free and family planning is universally available for women and men. Women comprise more than half of university students and professors. 43% of Members of Parliament are women; there are 7 women cabinet ministers (28%of total). Enjoying the free, universal access to education offered in Cuba, Esperanza studied English at university and has worked in the Cuba embassy in Ottawa. She called on us to pressure the USA to free the Cuban 5. These Cuban men were in the USA and infiltrated an extreme rightwing anti-Cuban terrorist group. They were incarcerated and given long and harsh sentences. Known murderers and criminals who bombed a Havana hotel and killed a Canadian are walking free in Miami. Esperanza ended her talk with a quote from Jose Marti, the Cuban independence hero: No policy is successful without the participation of women. FMLN Member of Parliament, Lourdes Palacio, was a combatant who took advantage of the opportunity to go to university at end of El Salvador’s civil war in 1992. She studied economics and joined a local NGO, working on development projects in rural areas. Agriculture is her passion; food security is her goal. Lourdes says that, even in a small densely populated country, there is much good land which is not being used and that El Salvador imports much of its food. That a Canadian mining company has drained the water table and caused major drought and toxicity problems for farmers during its exploratory drilling is an important issue close to Lourdes’ heart and her political work as a member of the Salvadorian parliament’s Commissions on health & natural resources and on agriculture & economics. On its corporate website this company says, “Pacific Rim is an environmentally and socially responsible exploration company focused exclusively on high grade, environmentally clean gold deposits in the Americas. Pacific Rim’s primary asset and focus of its growth strategy is the high grade, vein-hosted El Dorado gold project in El Salvador… “. But that is not the whole story; the present water scarcity and pollution, the eventual release of poisonous arsenic from the ore, and the prospect of cyanide use in processing if the mine does go into operation and the very real possibility of contaminating the drinking water of two million people mean even greater environmental danger; the lack of acknowledgement of these problems is hardly ’environmentally and socially responsible’. Local community groups organized to oppose Pacific Rim’s permit when they learned of the potential danger of gold mining even though there was no community consultation about the mining exploration; as a result the Government of El Salvador cancelled this permit. Pacific Rim is now suing the Salvadorian government under CAFTA through its USA subsidiary for more than $80 million. Since Pacific Rim started its exploration in Cabañas violence and fear have spread terror in this small farming region. Radio stations and priests voicing concern about the mining have been threatened and community activists have been murdered, the latest, in December 2009, was a pregnant woman. A private member’s bill about responsibility of Canadian companies abroad may still be heard in parliament; write to Liberal MP Bob Rae to show your support for Bill C-300. We are asked to contact Pacific Rim and ask it to cease its Salvadorian operation and its CAFTA case: Catherine McLeod-Seltzer, Chair, and Thomas C. Shrake, President & CEO, Pacific Rim Mining Corp, 410 – 625 Howe St. Vancouver, V6C 2T6, BC. Lourdes also asks Canadians to call on the Salvadorian Attorney-General, Romeo Benjamin Barahona Melendez, to initiate a full public enquiry into the deaths of community leaders and threats against others who oppose Pacific Rim’s activities. For addresses call the El Salvador embassy in Ottawa at 613 238-2939. Lourdes encouraged Canadians to support anti-mining community organizations in Cabañas with letters, donations and other actions. Contact: fmlnvictoria(at)yahoo.com for addresses and details. Pacific Rim’s property is one of many that foreign companies are eyeing greedily a gold belt that extends through El Salvador, Nicaragua, Guatemala, Costa Rica and Honduras. The USA has built a new highway across El Salvador, providing access to this gold belt. Canadian mining companies are active in the whole region; many observers believe that Canada’s foreign policy in Latin America is dictated by mining companies. Canada did nothing to restore democracy and the overthrown President in Honduras – Canadian companies are busy there. The present price of gold is about $1150/troy ounce; the production cost, particularly in the majority world is less than one-half that price; no wonder our government serves our lucrative corporate interests. Lourdes is one of many women who participate in public life in El Salvador; the mayor of Apopa (a large city outside San Salvador) is a young doctor and the last mayor of San Salvador was a combatant who became a physician; both turned to politics to work for healthcare for Salvadorians. Women are prominent in professions and definitely conspicuous in small business and the informal economy. So many men were killed in the civil war or have left for economic reasons, that many women are sole heads of families as well. 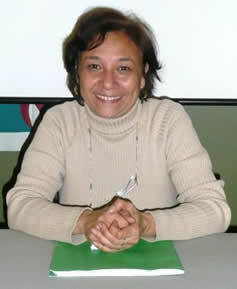 Liliany Obando visited Victoria in 2004 and 2006 to meet with activists and trade unions about human rights violations in Colombia where activists and peasant leaders disappear at an alarming rate. Sometimes tortured bodies appear; other times the disappearance is permanent. She knew her name was on the list because her work involved investigating these crimes against peasant leaders of FENESGRO, the largest Colombian farmers’ union. In August 2008 she was arrested and jailed in a high security prison for women political activists. After a year she was charged with ‘Rebellion’ and ‘Raising funds for terrorism’. While she was in Canada; she was collecting funds for her union’s work. The trial drags on with little evidence being produced. Victorian Kevin Neish has been to Colombia several times as an observer for her trial that finally began in December 2009 and as a protective witness for her children and mother. He writes about Liliany as“a young child in Pasto, she once came upon a policeman rousting a peasant women selling fruit, off the sidewalk. Liliany ran into the street to collect and return the women’s fruit, which the policeman simply threw back out. Then, to the horror of her mother and sister, Liliany gathered up the fruit and pelted the policeman with them! The little girl was roughly “arrested” and taken to the station where she was scolded, threatened and eventually released, in the hope of teaching her a lesson. The “lesson” little Liliany appeared to have learned that day was that the road to justice was through struggle”. Liliany has a copy of the Criminal Code of Colombia and uses it to educate all the prisoners in Buen Pastor about their legal rights. She receives many international visitors because of her work with FENESGRO and makes sure that they learn the situation of all the women in prison with her. As are many Canadians, I am concerned that Canada wants to sign a Free Trade Agreement with Colombia and our politicians actually say this will improve the lack of human rights in Colombia. Canada signed a Free Trade Agreement with Israel in 1997; human rights there have worsened not improved; there is no evidence anywhere that Free Trade improves Human Rights. Colombia has the world’s high rate of assassination and disappearance of human rights & labour activists and of investigative journalists. Liliany and her companions need our support: check: www.freeliliany.net for ideas. Locally more information is available at: www.victoriacasc.org with video interviews and news reports on her trial. 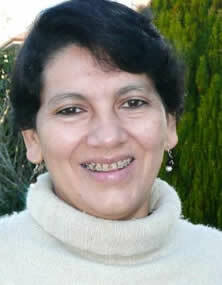 Liliany speaks English, she can receive short phone calls and mail: contact Kevin: neish@victoria.tc(dot)ca for details. For more information see bbcf.ca homepage as well. Write and demand Liliany Patricia Obando Villota be released, have all charges withdrawn, and be treated as a democratic citizen, to: His Excellency Jaime Giron Duarte, Ambassador of Colombia to Canada, 1002 – 360 Albert St. Ottawa, ON, K1R 7X7. Liliany is steadfast on her dangerous journey on the road for justice; there is no danger for us in solidarity work to support freedom for Liliany and human rights for all Colombians. La lucha continua!